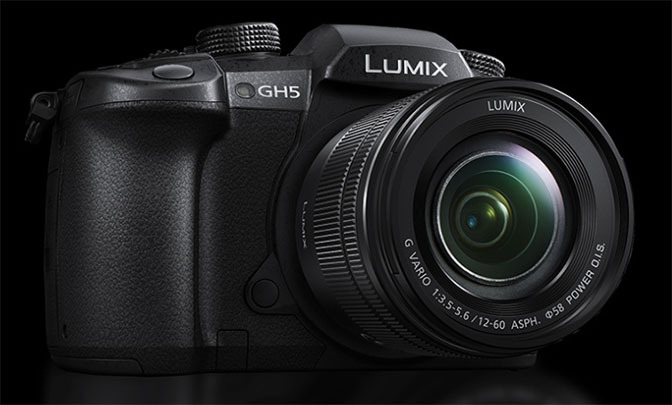 The Panasonic GH5 is a great camera but it can be a bit overwhelming due to the number of features and options available. This is particularly true with the focusing system. There are many ways to use it but figuring them all out can be a bit of a task. Since I spent an afternoon figuring out all the available options, I decided I would share my notes here in hope that they might be helpful to someone else. These settings are for still photographs only, I have not yet had a chance to explore all the options for focusing when recording video. When I do get around to it I will make sure that I post the info here. AFS (Auto Focus Single) – focus is acquired and locked when shutter is pressed half way or back button focus button is pressed. AFF (Auto Focus Flexible) – focus is acquired when shutter is pressed half way or back button focus button is pressed. If the subject moves the focus will follow. Use this mode when movement can’t be predicted. Faster than AFF. Can focus on randomly moving objects. AFC (Auto Focus Continuous) – focus is constantly performed to match the movement of the subject. Slower than AFF. MF (Manual) – focus is manually set by the user. If the back button focus button is pressed focus will be acquired using AFS, you can then fine tune the focus using manual controls. When the Focus Mode button is set to AFS/AFF you can select which option to use with the Camera AFS/AFF menu item. Focus Recommendations: AFS is recommended for still subjects, AFF is recommended for moving subjects or you can just use manual mode. AE LOCK – lock the current exposures settings. AF LOCK – lock the current focus settings. AF/AE LOCK – lock both the current exposure and current focus settings. AF-ON – acquire focus when pressed, lock it when released. Focus Lock Recommendations: Back button focus is probably the most useful method for focusing your camera. With BBF, instead of having the focus acquisition take place when the shutter button is pressed, you instead use the AF / AE LOCK button to tell the camera when to focus. This decouples the focus process from actually taking the picture which results in more flexibility when focusing. To enable back button focus, set the AF / AE LOCK button to AF-ON, then enter select Custom Settings / ‘Focus / Shutter AFF – OFF. Set 1 – Basic settings. Set 2 – Object is moving quickly in one direction. Set 3 – Object with slow random movement. Set 4 – Objects with fast random movement. Focus Algorithm Recommendations: Unless you have a very specific situation you’re trying to handle, the best overall choice is probably Set 1. AF Sensitivity – sets how long the camera will wait to adjust the focus when the distance between the subject and the camera changes. The higher the number the quicker the change. AF Area Switching Sensitivity – how quickly the camera will move the AF area after the subject has moved from it. The higher the number the quicker the movement. Moving Object Prediction – the camera is attempting to predict the future position of the subject based on its speed. A higher number means the camera will be more aggressive in predicting the future position of the subject. Use zero for stationary subjects and 1 or 2 for subjects that are moving. AF Custom Setting Recommendations: Panasonic probably spent a lot of time optimizing these settings so it’s unlikely you’ll improve upon them. Unless you have something very specific you are trying to accomplish, don’t even bother messing with them. Face / Eye Detection – the camera will attempt to focus on any face or eyes it finds in the image. Tracking – the camera will lock on to the subject when you half press the shutter or the back button focus button and will continuously track the subject. 225-Area – will attempt to focus on anything found within the 225 point area. Custom Multi – similar to 225-Area except you can modify the shape of the area that will be evaluated for focusing. Various options appear on the screen that allow you to resize and specify the shape of the area. 1-Area – camera focuses on anything within the small area. If you press the AF Area button on the rear screen, you can adjust the size of the area using the back dial or modify the position of the area using the joystick. Pinpoint – camera focuses on a single precise location. If you press the AF Area button on the rear screen, you can adjust the size of the area using the back dial or modify the position of the area using the joystick. AF Mode Recommendations: In most cases you should use 1-Area or Pinpoint. Both of these give you maximum control over the focus point and lessens the chance that the camera will select a bad place to focus. For precision shooting, such as when photographing a portrait, use pinpoint. This will give you absolute control over the focus point and allow you to focus on the subjects eye. For other situations, 1-Area will usually do a good job and makes it easier to pick the focus point. Tracking is useful if you are shooting moving subjects. It allows you to pick the subject on which to focus and then attempts to keep that subject in focus. Did you try the self timer.. AFC seems impossible using the self timer which is a bizarre limitation…ia it really the case that this isn’t possible? !